Despite doing some salsa dancing here and hatha yoga there, in reality I'm a major fitness and workout phobe. 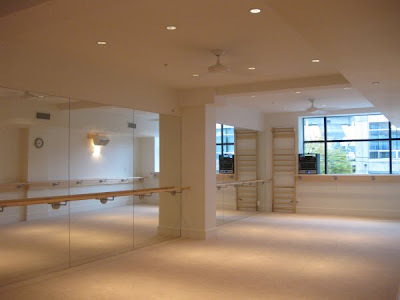 So when BeautyMark invited me to accompany them for a free preview class at the new Bar Method studio, I hesitated. If someone like Erin--a former member of the national softball team and a brilliant athlete--complained that her legs were completely numb post-workout, what chance did I have?! And she wasn't the only one--numerous people have said that the workout is tough. In the end, my curiosity got the better of me and I agreed. For those who are unfamiliar with it, the Bar Method is a workout program that combines exercises and movements derived from ballet, yoga, and pilates. Much of it involves small repetitive motions intended to isolate, tone, and lengthen muscles as well as strengthen your core. During class, the instructors made us do exercises with light weights that worked our biceps and triceps. We also did exercises at the barre for our calves, quads, and glutes, then moved on to pilates-inspired moves on the ground for core strength. Some exercises were definitely tougher than others. During the leg exercises, I was shaking from muscle fatigue at the barre and I wasn't the only one. Some of the BeautyMark folks later said their legs "were shaking like Elvis." The instructors (pictured here at their media launch event) did a lot to motivate students, correct our postures, and keep us going when we were about to call it quits. The workout definitely lived up to its reputation for being tough and effective. Over the next two days, soreness lingered in my upper arms and quads, and my abs ached a little whenever I coughed or sneezed. But was the Bar Method such a scary workout that it would intimidate beginners? Probably not. I don't consider myself to be particularly coordinated or fit, but I could follow along well enough, and the instructors are very helpful throughout the class in case you don't get it. Oh, and did I mention the grade A facilities? Not being a gym-goer, I don't have much to compare it to, but the ladies locker room and studio are spectacular. New fixtures, fluffy towels, a sauna, and shower stalls equipped with Aveda toiletries. The studio floor features soft plush carpeting and the entire place still has that "newly renovated" smell. The only drawback to the Bar Method is that the classes are relatively expensive compared to other fitness/recreational classes. Depending on whether you buy a class package or a monthly membership, the price per class can range from $5 (if you're a new client paying $100 for your first month, and you go 5 times a week) to $22 (if you do a single drop-in class). Their website breaks down the pricing schemas in further detail if you're interested. 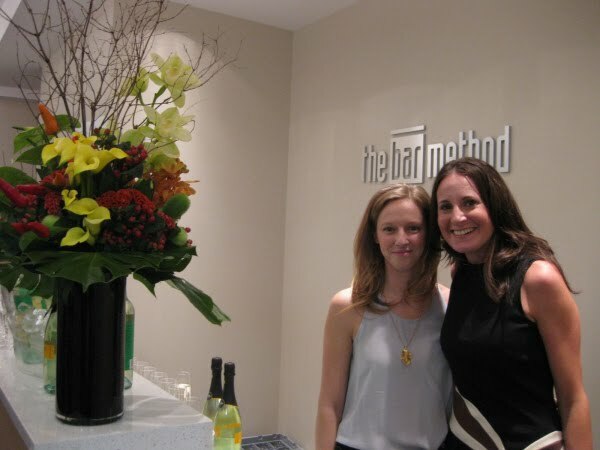 I'd love to see the Bar Method work out a deal with neighbouring Yaletown businesses and offer their employees a discount. After all, the studio's location would be very convenient for Yaletown people leaving work. I might go back for a few classes at a time, but because of the cost and because I'd be taking the classes on top of yoga and salsa, I don't think this is something I can continue to do long-term. Oh I totally believe that the workout works. But too bad it's so pricey! Their interiors look gorgeous! If that alone doens't make you go ;-) I think doing any form of exercise for the first time is tough. I know when I started going to the gym for the first time, every muscle hurt. It went away after a few days and I never got it again. Same when I started doing workouts at home, so I don't think it reflects that the workout is overly tough - it just means you've been training muscles that haven't been used before. If it were cheaper I'd give it a go! nice review - it looks like a gorgeous place. 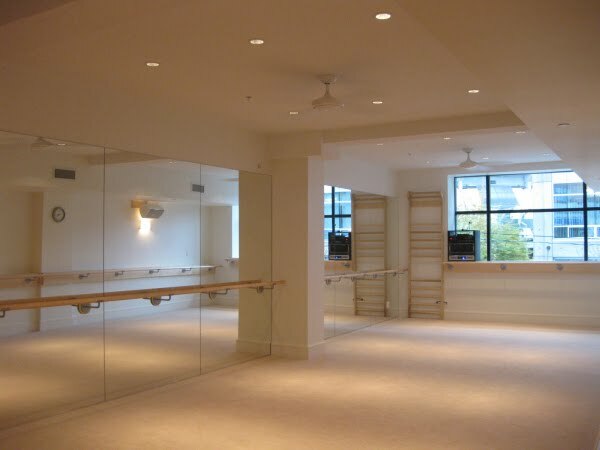 good to hear it is a good work out b/c i had heard otherwise from coworkers although it may have been the other barre studio in yaletown. Thanks Lisa. If they make a deal with your work, I'm so pretending to work there! That is a bit pricey...but I bet the end result is a killer set of stems! Oh damn! That's too much hard work for me. You get what you pay for ... The Bar Method works like nothing else. Cheaper than a personal trainer and much more effective. I am addicted to this workout! I just signed up for my first level one class - I hope it hooks me! !